The Society of Missionary Children has put together a great set of resources for teachers and parents to help children understand the true meaning of Christmas and to prepare to celebrate the Nativity of Our Lord. The Society has put together the an Advent calendar just for children, which you can download for free. The one-page calendar gives a day-by-day countdown to Christmas that focuses on trying to be a better person and a true follower of Christ. Printed in black and white, it is designed to allow children to colour it in themselves. It has daily tips that include: “Begin Advent by praying for all your friends and for all children in the world”, “Say ‘bless you’ when someone sneezes”, “Make your Christmas cards today”, “Thank your teacher for 2018” and “Help to clean the house”. For teachers and parents, there is an Advent resource pack. It has ideas for classroom activities in the run up to the end of term. For parents, it has prayers for children to say on Christmas Eve and Christmas Day. 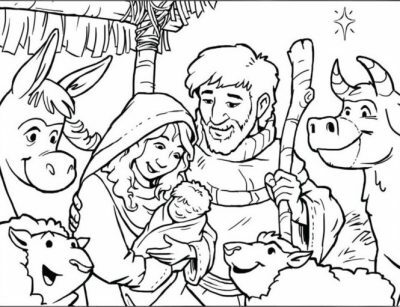 Lastly, the society is running a Christmas colouring competition, based on a nativity scene. The closing date for competition entries is Friday, 21st December, and there are €20 book tokens, plus other small prizes, to be won. There are six different age categories in the competition, ranging from 4–5 years old to those aged over 14 years. There is an additional category for children who are on assisted learning programmes. Hundreds of entries are received from across the country every year. Even if your child (or grandchild) doesn’t win the competition, they will have fun colouring in the drawing and learning about the Holy Family.